Wouldn’t it be nice if you could find a bit more storage space in just one room of the house? Why stop at one? Here are some nifty space-saving ideas for the whole house. What do you do with that dead space under the kitchen sink? Run a secure curtain rod from one end to the other to hang spray bottles. 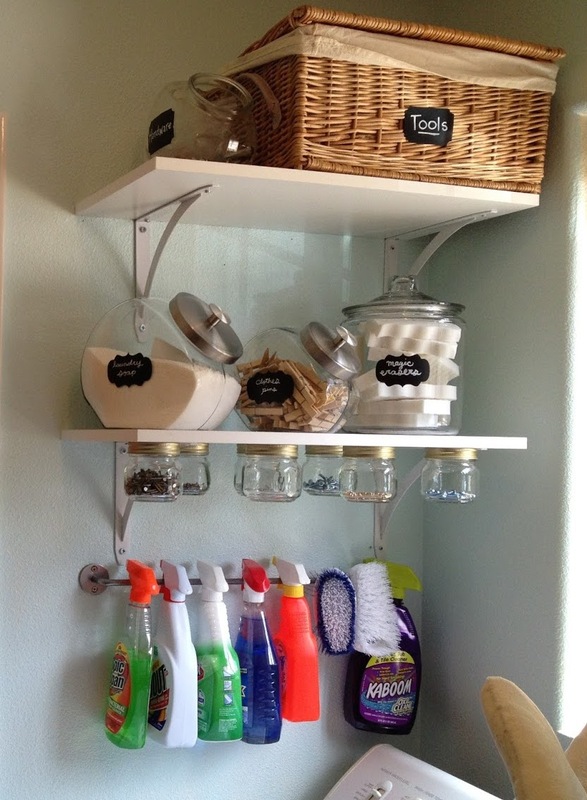 It saves fumbling around the cupboard for the right cleaner and frees up the space on the bottom shelf for other things. If your wardrobe is already crammed full with clothes you can’t live without, take advantage of the door handles. Keep scarves, caps and other accessories in stylish bags that hang on your wardrobe handles. 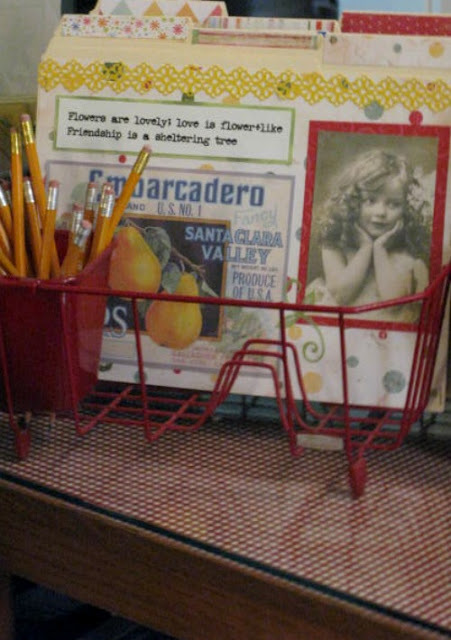 Use a sink drainer for file storage and the utensil holder for pens and pencils. Wall pot holders for the garden make great storage containers for stuffed toys. Hang them at a level where small children can learn to pack away their toys themselves. Install a row of shelves across one wall of a small laundry and use biscuit containers to store your powder and pegs for a neater look. Use magnets on the bottom of your shelves to maximise storing capacity. Do you have room for the bathtub, but nothing else? There’s a lot of wasted space surrounding a built-in bathtub. Replace the surrounds with tilt-out panels to store cleaning materials and bath soap. Make your shower rod work harder too by hanging a net bag around it to hold bath toys and washcloths. If you’re seriously tight on space you’ve probably already thought about maximising the space under the stairs. Use wheeled containers that slip into the farthest and smallest area but are still easy to pull out. And what about all that wasted space in your stair rises? 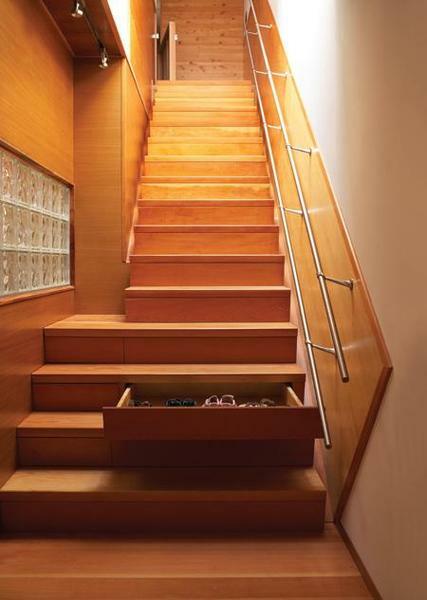 A cabinet maker can install drawers to keep your stairwell clutter-free. Why go hunting through the tool shed when all you want is to do some light pruning. Keep basic gardening tools in a stylish letterbox near to where they’ll be used. There’s nothing more inviting than a wall lined with books, but we can’t always dedicate all our shelves to books – and for the storage-poor, a Kindle is a great solution. 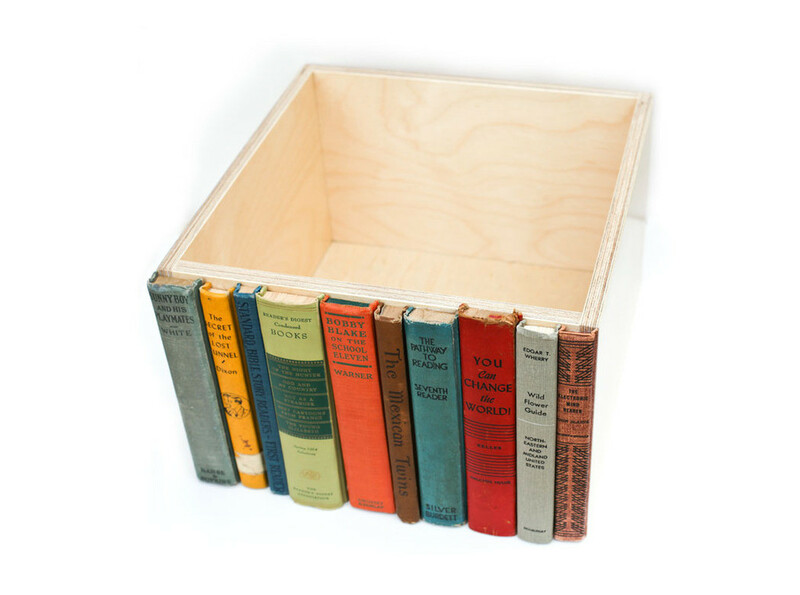 To achieve a book-lined affect in your lounge room, find some wooden boxes to fit on your shelves and cover their front face with the trimmed spines of old hardbacks. Bench seats are a tidy solution for a small dining area. Make the most of this space with pull-out drawers under the seats. With a little ingenuity, it’s easy to maximise your storage space in every room of your house. But if this isn’t quite enough decluttering for you, considering renting a storage unit with Storage Plus. You can find out more and book a space here.